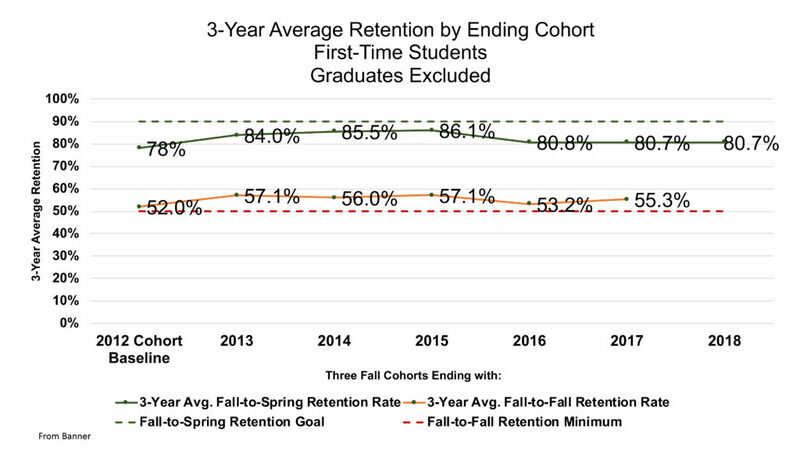 Our institutional goal for Fall-to-Spring student retention is 90%. 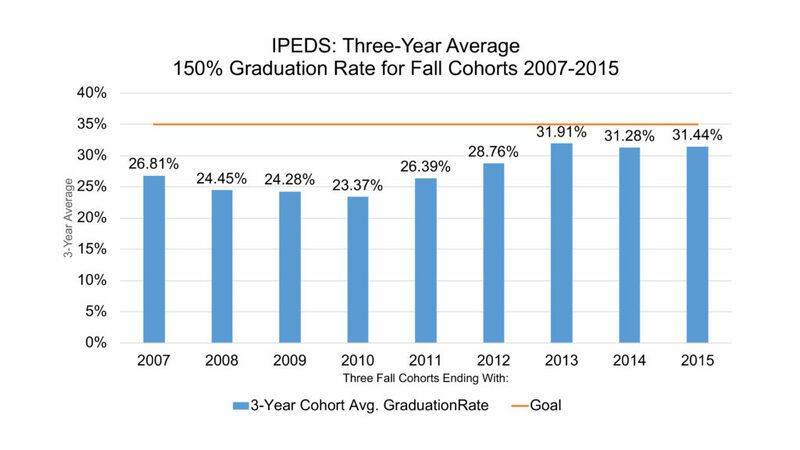 Our minimum threshold for Fall-to-Fall student retention is 50%. 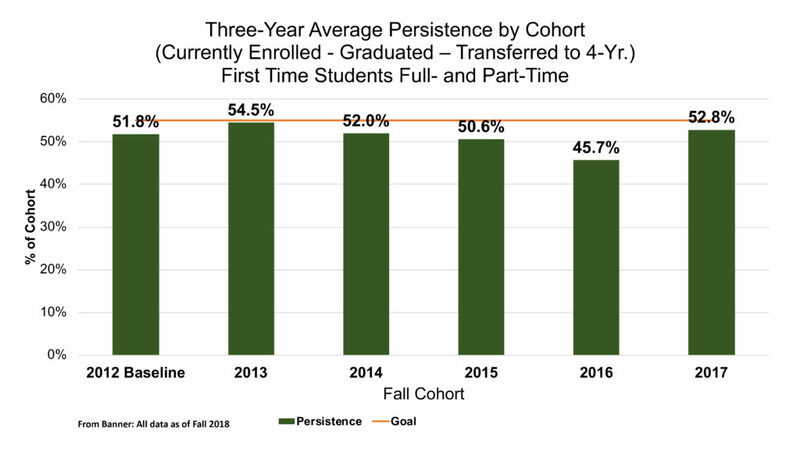 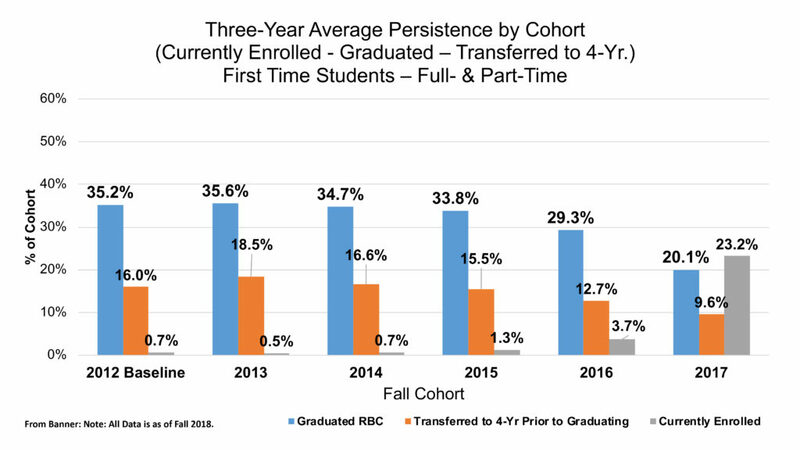 Persistence is comprised of both 3-year average transfer and graduation rates as shown below. 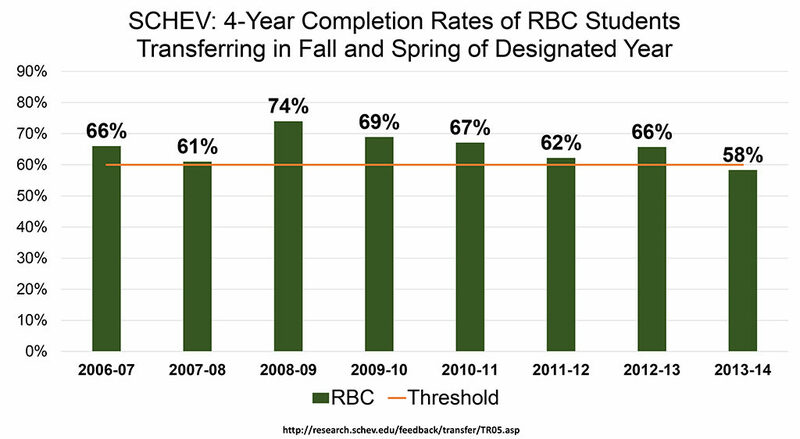 We consider 60% to be a minimum threshold for Baccalaureate completion.